The writing was choppy in parts, and there were a lot of made-up words like "crazylike". Both pulled me out of the story. Also, I'm not a fan of the first person present tense. But the story was engaging, and I was interesting in seeing how Nym would escape her circumstances. I have a lot of unanswered questions about the world, especially concerning the elementals and other magical beings. I never figured out whether each of the five kingdoms has a different type of magic or it's all a different type of the same magic with a different name. What was the real difference between Colin's earth magic and Nym's storm magic? Apparently Nym's was supposed to be stronger, but I only thought the difference was that they were from different kingdoms. Also, Eogan's blocking ability needed way more explaining. I also had some issues with the plotting. The court intrigue was not subtle enough. I feel like I got hit over the head with the court politics and was not given enough information about the magic world. Yet, the ending was quite surprising, and I even appreciated the cliffhanger. Even with all the flaws, I was still entertained enough to want to read the next one. 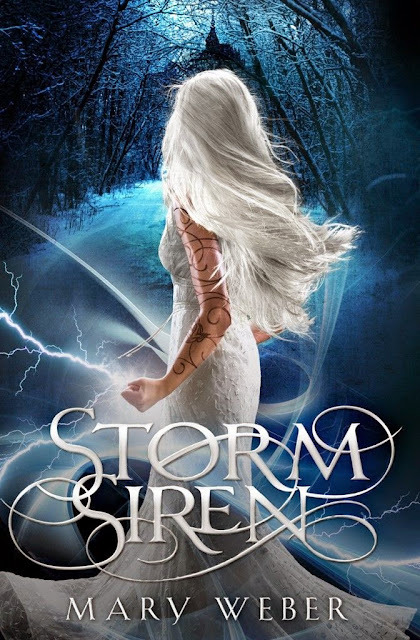 Storm Siren contains a good story, and I hope that I get more information and some strengthened characters next time.